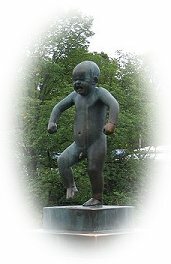 We made a trip to Oslo, Norway in August 2004. 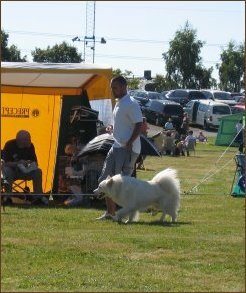 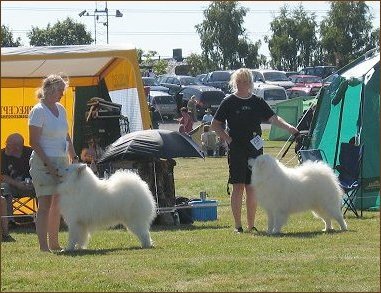 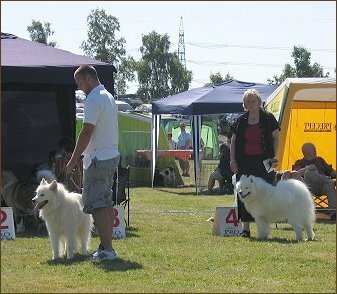 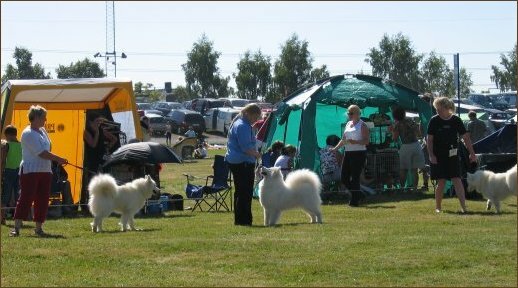 Our main goal was to attend an International Dog Show with Ronja but also some sightseeing and shopping. 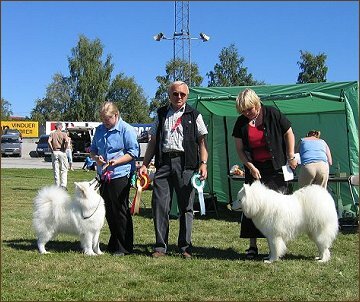 Although Oslo is in South Norway, the views were much better than in Finland. 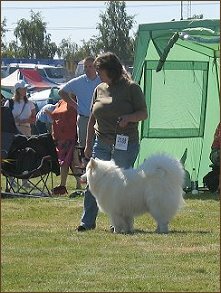 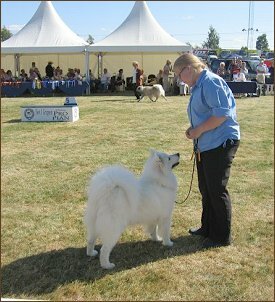 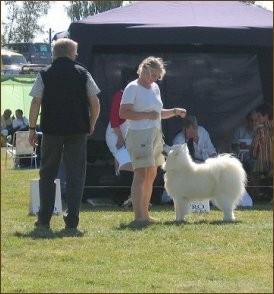 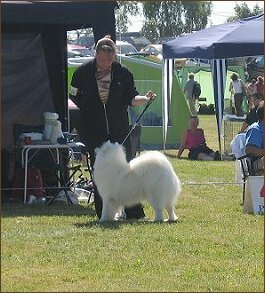 Ronja with Jenni in the group ring.